Thought it was about time i posted a few statistics for the year so far, as boring as that may be a few stats never hurt anyone did they??? Now the worst part of all these stats is 1401 miles is an awful lot of miles in 7 months but it does put it into perspective how far Lands End to John O Groats is and also the fact that in April i will be doing 1000 miles in 9 days…… its a proper yikes moment to read that!!! Yesterday was the Lands End Sportive and wow what a stunning location and ride it was too starting in St Ives and following the coast down to Lands End and then back in a lovely circular route via Mousehole and Penzance, I would wholly recommend this Sportive to anyone that may be in the area next year.A Well organised event they even managed to sort some gorgeous weather for us ( deffo not a weather related moan). 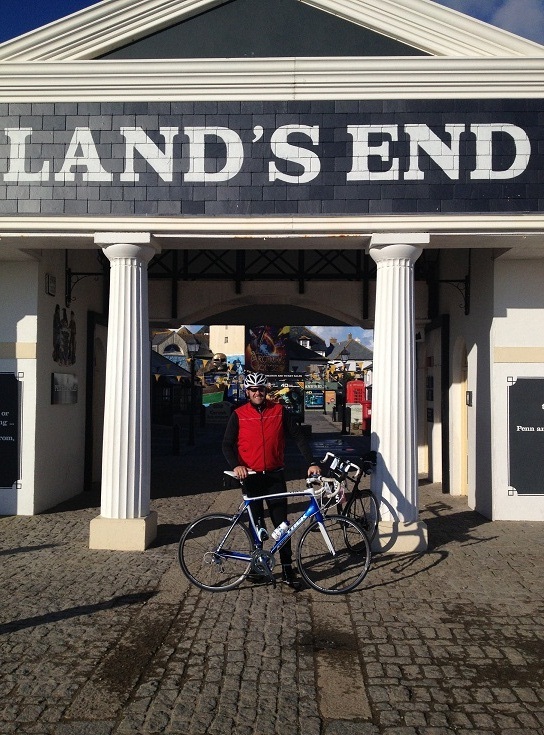 This entry was posted in Training and tagged lands end to john o groats. Bookmark the permalink. Fancy that sportive – maybe next year will pop over and we can do it with paul? That would be good mate, Paul couldnt do it this year as he was doing a cross country run???? ?Its a lovely ride certainly one of the most picturesque rides i have done.